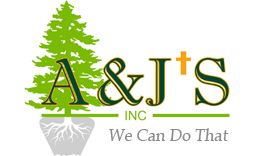 Shed, Storage Shed in Erie, PA | A & J's Inc.
A useful addition to any property, sheds are an excellent way to securely place gardening supplies, for using as tool storage, and much more. At A & J's Inc. in Erie, Pennsylvania, we offer attractive and functional Amish wooden sheds made from some of the best lumber around. These items are also custom-built so that it will complement your property perfectly. These long-lasting sheds are made from a variety of wood and feature unique designs suited to your liking. Use them for storage, as a home for goats or animals, or even a place to get away from it all. When you turn to our talented team, we work closely with you to ensure your shed is exactly as you envisioned. You can add windows, lattice, decorative items, and more to make your shed truly your own. We hold ourselves to a high standard of service, and it is reflected in our work. Build on-site is available for hard to access locations. We also install landings for an additional cost.